Fabulous Firsties: Penguins, Penguins, and more Penguins! North Carolina has seen more than enough snow for one winter! But luckily, the snow allowed Mrs. Gaulden and I enough time to plan and prepare for an awesome penguin unit! 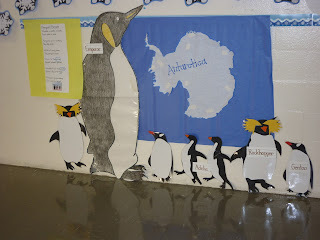 In writing, each first grade class researched Emperor penguins. Our class was responsible for learning about the job of the male/father Emperor penguin. We learned so much! Our favorite word we learned was 'regurgitate.' After learning about all the things the father has to do to take care of his egg, we wrote from the father's point of view. They published their paragraphs on a papa penguin. The other first grade classes took the point of view of the baby and the mom. 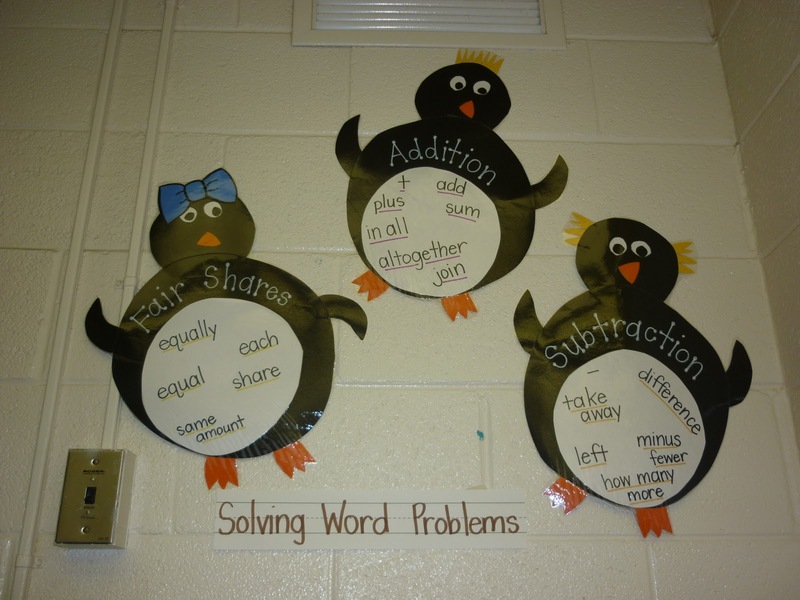 We have little penguin families on our bulletin board in the hall with all 3 points of view. They turned out so cute! More pictures to come of all our penguin fun! do you have the printable pinguins ...pls!